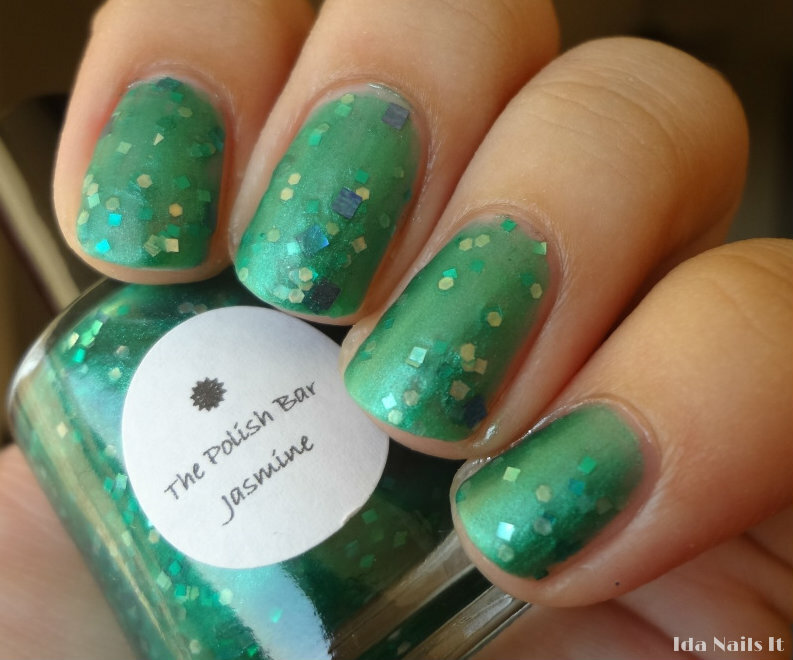 I have a couple of polishes from The Polish Bar to show today. The first one is Jasmine, a shimmery green with purple/blue and jewel green square glitter and silver hexes. The first picture is two coats and top coat and in the second picture, I applied matte coating. The Place Between is an unusual color combination. It has a charcoal colored base with blue micro-glitter, chartreuse square glitter and silver hexes. I used three coats for full coverage. Jasmine and The Place Between can be purchased at The Polish Bar's Etsy shop. I love the nail lacquer. do you have experience with the kardashian beauty nails?